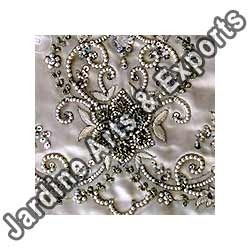 A unique amalgamation of sequins and beads can be seen in beaded sequin embroidery. 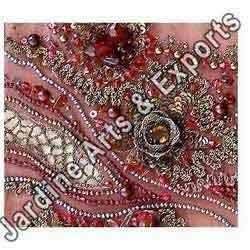 The sequins have been artistically stitched together to give the shape of flowers. Colorful beads are interestingly placed thus adding charm to the whole design. The design is such that it gives a heavy and elegant look to the saree thus making it an ideal party wear. Extremely beautiful white colored beads have been used to create beaded silk embroidery that actually has a magical effect. Silk thread together with beads has been used to create floral design that can leave anyone spellbound. There are designs solely made of silk thread in between the flowers thus adding to the richness of the design. Note:- We are looking only Export enquiry. Looking for Sarees Embroidery ?